Finally hit Go on Voice of the Lost. It's up already on Smashwords (and Amazon) and will take a couple of days to a few weeks to get to various other venues. I'm really liking the way the cover turned out. It's eerie and beautiful. 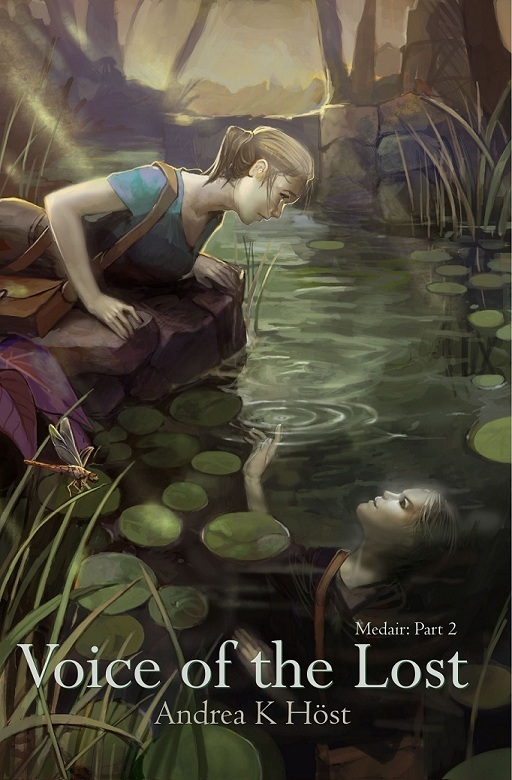 Not representative of any scene in the book, but symbolic of Medair facing her past - or seeking a future. Woohoo! I just recommended TSoM to a co-worker with a Kindle ("What are you reading?" says she, and I steer her right). I think she'll be pleased to discover she can get the whole story at once. Also, my next book review will be for Medair. Depending on how much procrastinating I plan to do on my short-story-slowly-evolving-into-a-novella, that could be up as early as Saturday. Thank you for the Coupon ! @ Lexifab : The legendary "word of mouth" in action. Do you plan to publish any of these things you're writing? I'm so happy to find this announcement! I rushed right over to Amazon and purchased VOICE OF THE LOST. I agree with you about the book cover - it's beautiful. I loved THE SILENCE OF MEDAIR, which I recently finished reading and for which I plan to write a 5-star review to post on Amazon. Congratulations on completing the sequel! Andrea, that is so true! It's on my Kindle now. So much for getting my chores done.